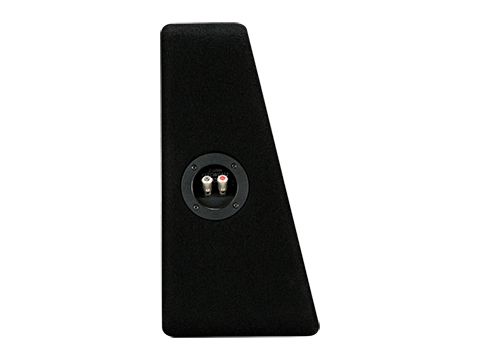 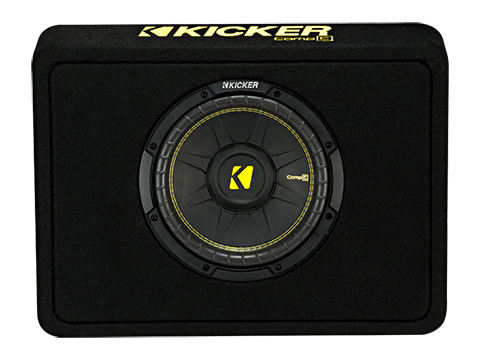 The KICKER® CompC™ Loaded Enclosures include a custom port to optimize subwoofer performance. 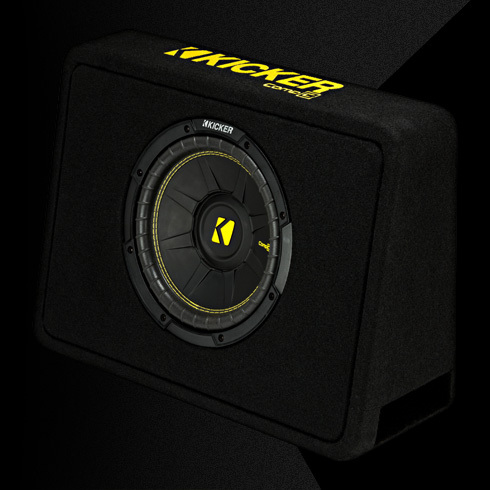 Thick black carpet and KICKER embroidery make this sub box a perfect choice for an easy install that looks as good as it sounds. 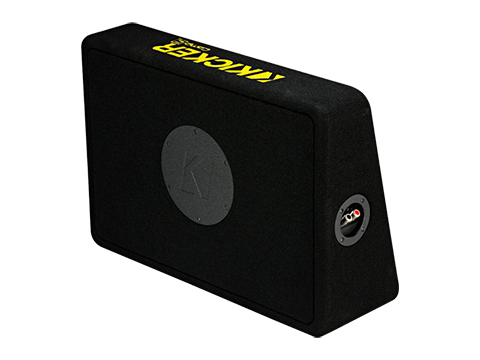 The CompC Thin Profile 10-Inch Subwoofer Enclosure comes loaded a single 4-Ohm terminal.